Leon County Circuit Judge Charles Dodson struck down a 2017 medical marijuana law as unconstitutional. Judge Dodson scolded state officials for treating the Constitution “like a recommendation” and gave state health officials until Friday, October 26, to begin registering new medical-marijuana operators. In response, Governor Rick Scott’s administration filed a notice to appeal Judge Dodson’s decision. In his ruling, Judge Dodson found fault with parts of the law that, among other things, capped the number of marijuana licenses and created a “vertical integration” system that requires marijuana operators to grow, and process cannabis and distribute related products. Those in opposition of Governor Scott’s appeal feel that the statute keeps free enterprise from operating in Florida, and it grants cartels and monopolies to the already licensed marijuana operators. Those in favor of appealing Judge Dodson’s decision, namely those operators who are already licensed, warn that Dodson’s order could result in an unregulated market, and have a negative impact on the quality of products available to patients. State lawmakers urge the governor to appeal Judge Dodson’s decision in the First District Court of Appeal because said venue has a history of being friendly toward the Scott administration. 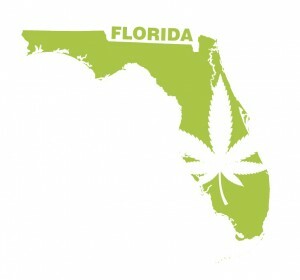 Ben Pollara, chairman of the political committee behind the 2016 amendment believes that Dodson’s decision will throw the medical marijuana industry “into chaos.” Pollara added that this mess will have to be addressed and cleaned up by the next governor of Florida.